Satin Chrome Digital Lock with Key Override allow doors to be easily secured with a push button digital lock. This device is suitable for doors of any width or height. It is designed to prevent unwanted entry into secure locations. 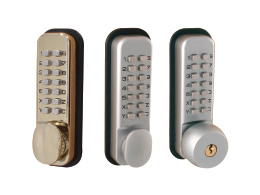 Satin Chrome Digital Locks are suitable for light duty applications. They do not require wiring or batteries. With over 8,000 combination possibilities, your location will be secure from unauthorised intruders. There is also a fail safe design built in to allow for free exit at all times. Additionally, a standard snib holdback facility is provided. Finally, should immediate access need to be granted, you can use a key to open the lock. What is the Purpose of the Satin Chrome Digital Lock with Key Override? 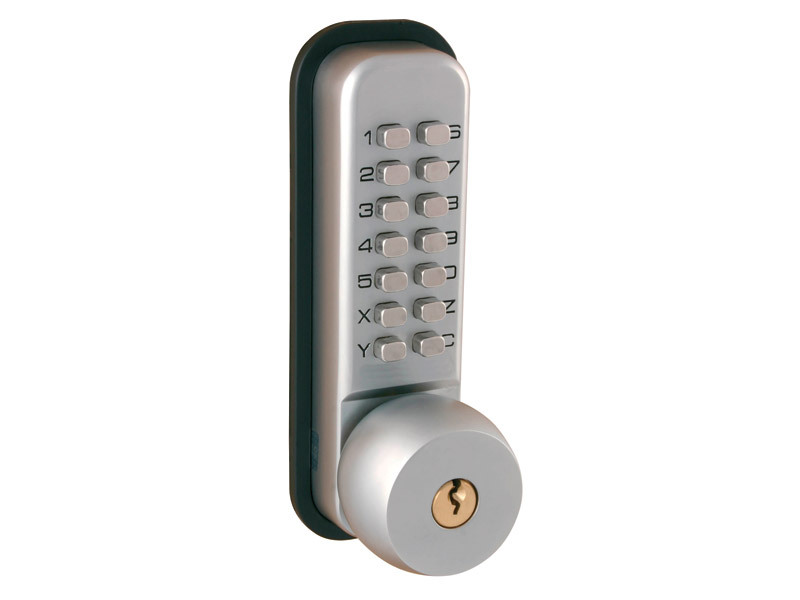 The Satin Chrome Digital Lock is designed to secure a door quickly and easily. The combination system on the digital lock allows for authorised entry to restricted areas, and prevents unauthorised individuals from entering. This is suitable for light duty application use. The key override system is designed to allow access to authorised individuals who possess a key, bypassing the digital code locking system. This product can, and should, be used in any public or private building with doors that need to be secured quickly and easily. This product can be safely used on doors of any width. 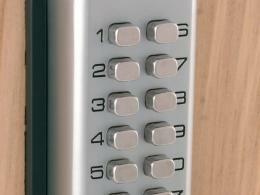 It secures doors with a digital locking system. This product is easily installed, and does not require additional wiring or batteries. It includes a key override system. These Satin Chrome Digital Locks could be used by anyone who owns or manages a building with doors that need to be secured quickly and easily. Chrome Mechanical Digital Door Locks would be suitable for any location which requires controlled access to restricted areas. 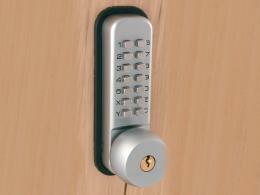 There is one model of Satin Chrome Digital Lock with Key Override. It is suitable for doors of any width. It features a digital locking system and mechanical operation, as well as a key override. It can be installed without additional batteries or wiring.